Gaze-based interaction utilizes a person’s visual attention in real-time to adapt the interface to her information requirements. A gaze-based map interface, for instance, could automatically pan or zoom the map based on the user’s gaze position. Cognitively motivated approaches try to infer the user’s activities, intentions or plans from gaze and provide assistance accordingly. 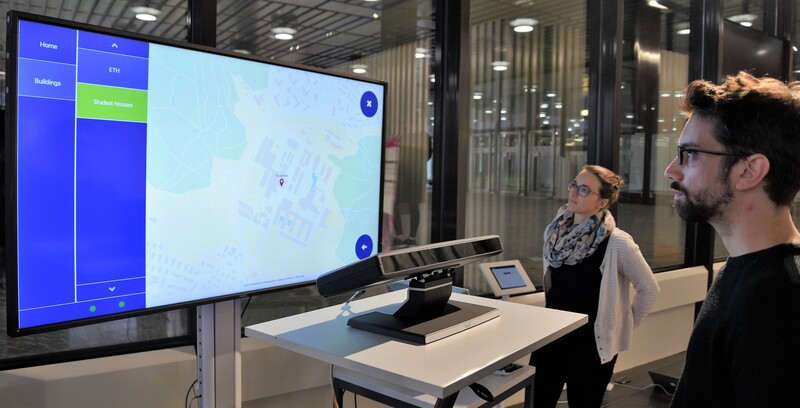 The goal is to incorporate the knowledge and models derived from empirical eye tracking studies (e.g., in the area of wayfinding) into the interaction concept. gaze-based interaction with the real world in outdoor urban environments, especially for pedestrian wayfinding assistance. For more details, read our publications on the GeoGazemarks approach, the activity recognition from gaze, Gaze Map Matching, or our vision of a gaze-based outdoor wayfinding assistant.